Contains two more tracks (the real concert had some one or two more...). Unfortunately I can't tell what tracks. Anyone? 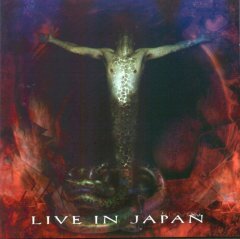 This is a live album recorded on 1998.08.31 at Club Quattro, Tokyo, Japan. Released in Poland as an Enhanced CD in contains Kingdom videoclip as a bonus (CD only, of course). Multimedia part is somewhat broken, though.